My top 5 images for 2011 start with this image from Little Cottonwood Canyon. Photographed on very foggy Fathers Day weekend. What pleases me most about this image is the sense of scale. The massiveness of the rock, the angle, the fact that the rocks disappear into the clouds. 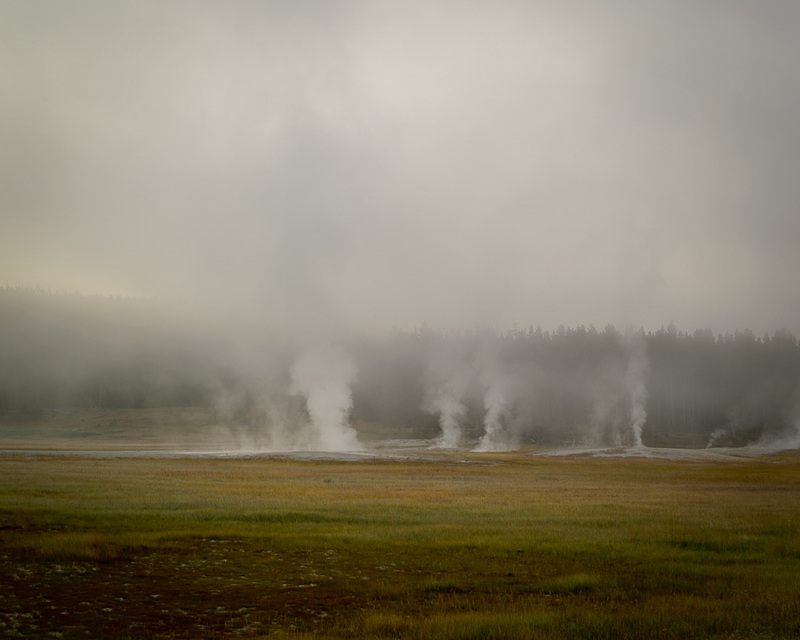 Lower Geyser Basin, Yellowstone National Park. This has to be the dreamiest landscape I have taken. Lower Geyser Basin, Yellowstone National Park. The multiple bands of color and texture make this a favorite of the year. 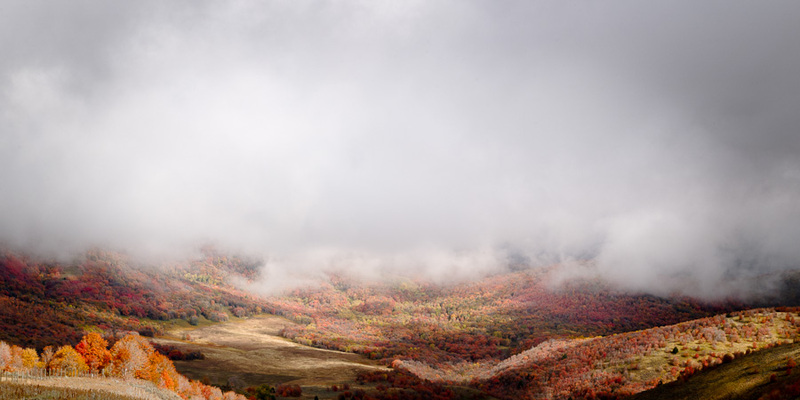 Fall Color in the Wellsville Canyon. Dreamy and vibrant, not what I was expecting to find in northern Utah. 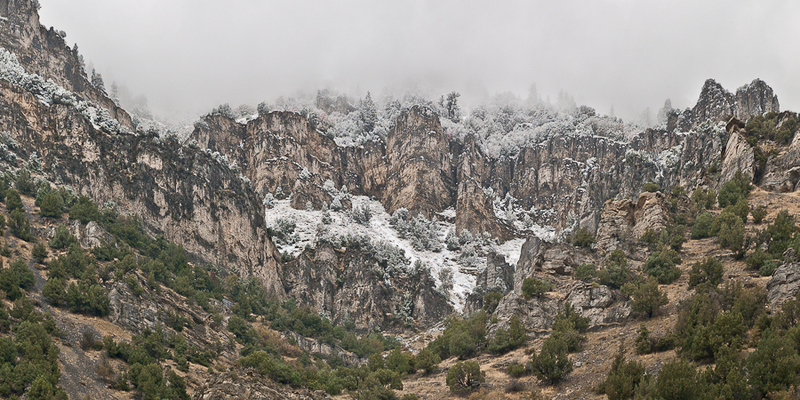 Cliffs and fog in Blacksmith Fork Canyon. 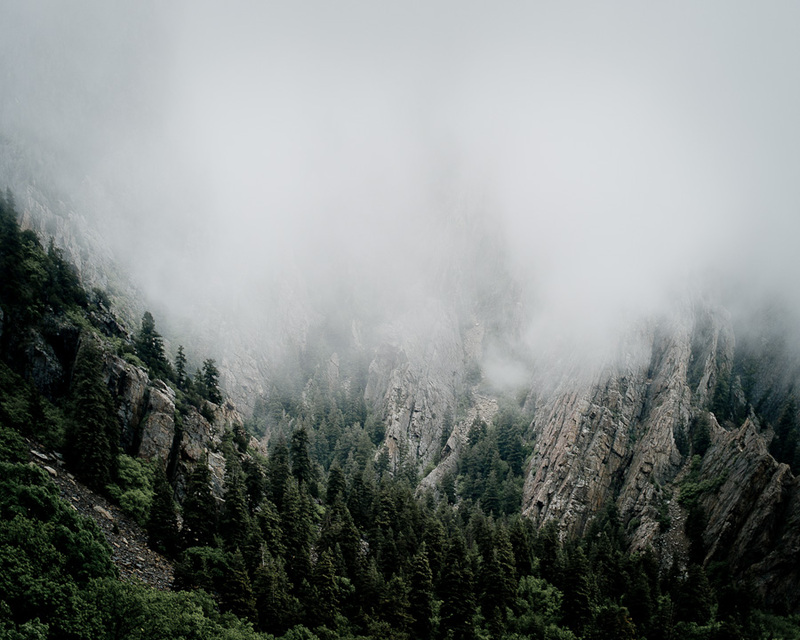 Similar to the first image in that it has cliffs and fog, here though I have opted for a panoramic cropping and a brighter overall feel. This landscape is successful to me because the sense of hight and angle of view. It has many places that you can get lost in it. This would be a great image to have a lone hiker or rock climber in. Or better yet a majestic bull elk standing at the edge of a rock. All images were captured with my trusty Leica M8 and either a 35 or 50 mm Zeiss lens. Truly breathtaking! I love them all. Thanks shutterbug. Would love to visit some of the places you have been. Great travel photos! Really beautiful work, and a great use of fog in all of them. 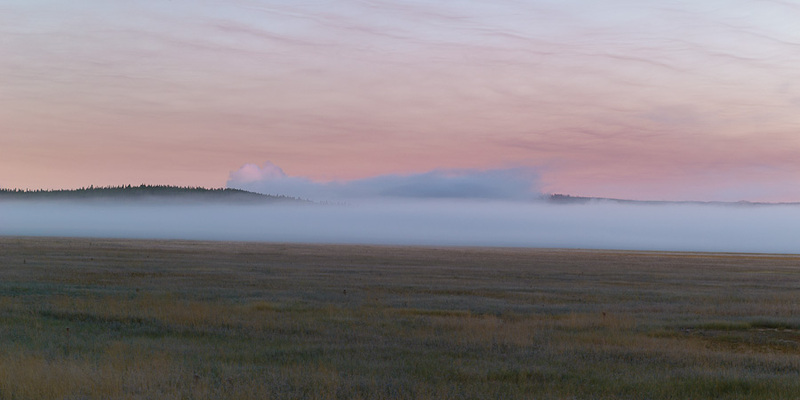 Thanks Pat, Love your shot of the bull elk in the fog. I have to spend some time on you site, you have so many amazing wildlife shots. Gorgeous. Makes me terrifically homesick. All pics are beautiful but I love the third. Wow, you are not kidding, beautiful images! :-) Glad I stumbled onto you blog!